At the Big Indian Sign"
From Model A's to current highline and performance cars, MotorTime Auto Sales, Inc. is family owned and operates under the strictest of business ethics. Barry is the second of three generations of a car enthusiast family. He has over 50 years of experience with collecting, restoring and showing specialty cars. Ben represents the third generation of this car enthusiast family. He has over 20 years of experience in the automotive retail, wholesale, and leasing business. MotorTime Auto Sales, Inc., a family owned business offering a wide variety of clean, safe and reliable late model CARFAX Certified Cars, Trucks and Work Vans. MotorTime Auto Sales, Inc., also, is your resource for high-line, specialty, and collector automobiles of all makes and models. 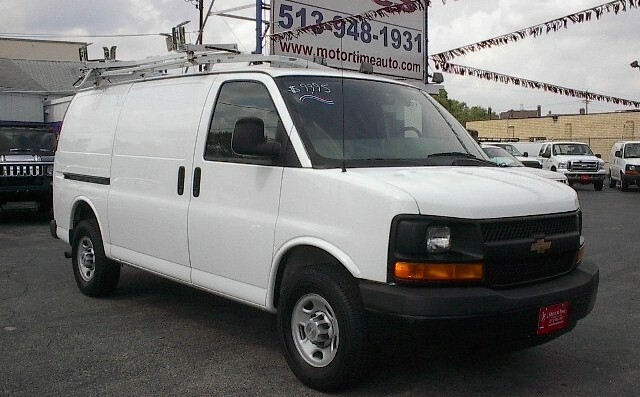 We hand-select all cars, trucks and work vans in our inventory. We also offer a locator service, meeting our customers' particular interest and needs. Our inventory is constantly changing and can be viewed by using the links below. These listings are updated daily. Please call or email us with your special request. Watch for our periodically featured cars and car related items on ebay.